Puerto Escondido is not only a surfer’s paradise, it’s also serving up some of the best food in Mexico. I spent 3 weeks exploring this sleepy little town from local taquerias to upscale Japanese. And was delightfully surprised by the quality of the food. Got a rumble in your tummy post surf session? 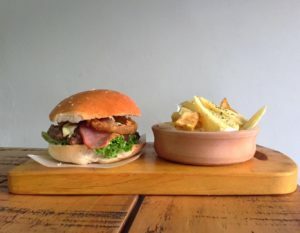 Well fear not, here are the 7 best restaurants in Puerto Escondido. El Sultan Puerto Escondido doesn’t look like much from the outside, but it’s serving up some of the best nosh in Ricatella. Their hummus is just as good as any in your local Turkish restaurant and the falafels are different to any I’ve had at home, but are packed with flavour. My pick is the wrap with the lot, chicken, hummus, falafels and salad, packed into glorious pita bread they make themselves. It’s the perfect Puerto Escondido restaurant for lunch post surf session. The absolutely delicious smoked fish tacos at Smoked Fish Tacos an awesome Puerto Escondido restaurant. The name literally says it all. Smoked Fish Tacos is a little taco shop just near Ricatella beach and has only 3 menu items; smoked fish tacos; fried fish tacos; and shrimp tacos. 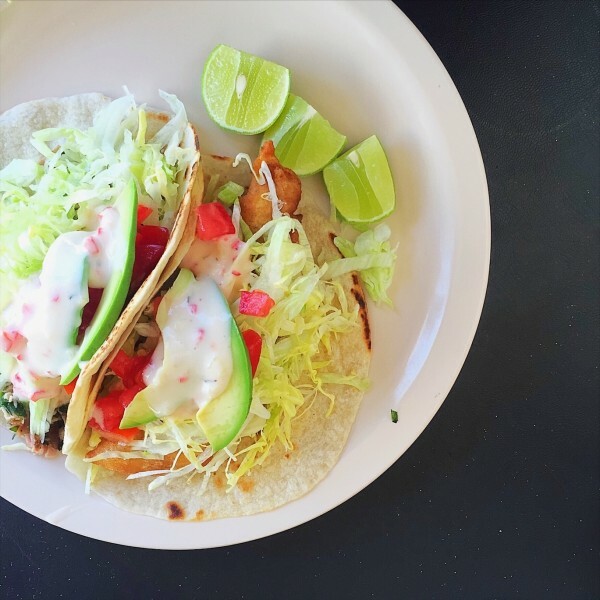 You absolutely can not leave Puerto Escondido without trying the smoked fish taco, it will change the way you think about Mexican food. And for $3 AUD you may as well get two. La Luna Rosa is a cute little Italian restaurant on the main street of Ricatella. The number of good Italian restaurants in Puerto Escondido was another awesome surprise in the little surf town. La Luna Rosa is serving up delicious pizzas and pasta in very generous servings. You definitely won’t leave hungry after a long day of catching waves. I will admit I’m not a health fiend, however, the smoothies at Spirulina almost made me think about giving up meat and drinking smoothies for every meal for the rest of my life! 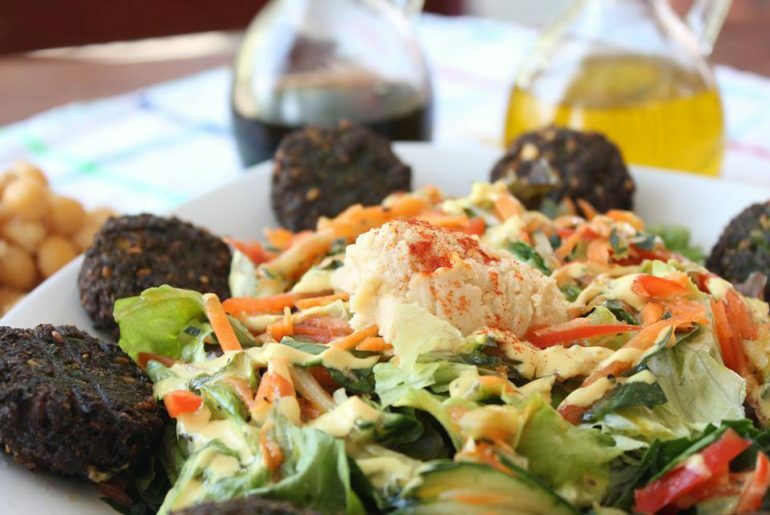 Located in Zicatella Beach, this cafe is just what you need when you’re sick of eggs and beans. Their smoothie bowls are what they are famous for and are definitely worth trying. But their smoothies are just as good if not better. 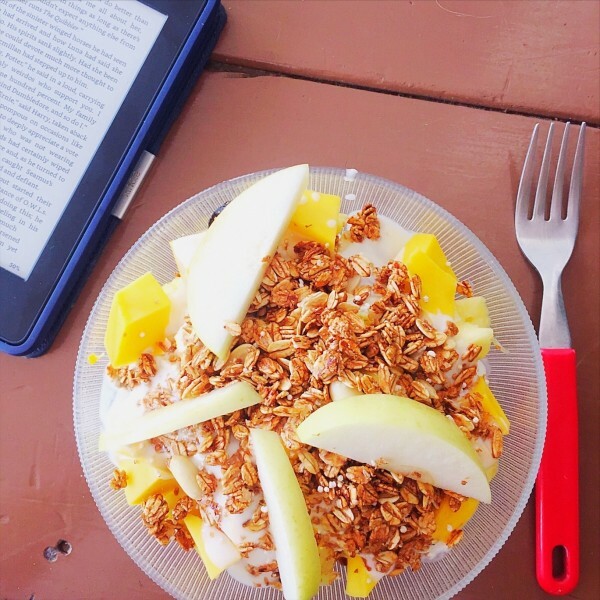 Yoghurt with fruit and yoghurt at El Cafecito Puerto Escondido is the perfect way to start your morning. When I first arrived in Puerto Escondido I think I ate at El Cafecito 5 days in a row. Their menu is huge and their servings are generous. Head here for typical Mexican breakfast fare, along with more Western options as well. The pancakes served with fruit, yoghurt and granola are delicious, and my pick for savoury is the egg and bacon burger, which is huge and the perfect hangover cure after ‘Ladies Night’. 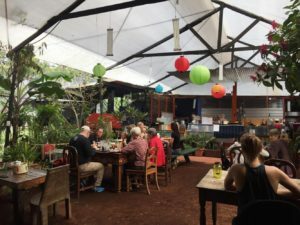 El Cafecito is definitely one of the best restaurants in Puerto Escondido and needs to be on your list of where to eat before a day on the waves. Tlayudas are Mexican Pizza, and you can really only find them in Oaxaca province. They are basically oversized tostadas topped with tomato, refried beans, cheese and the meat of your choice. Any of the local taquerias serve these, and they are all great so I don’t have a favourite. Just look the nearest restaurant that’s filled with locals and dive in! The last thing I thought I’d ever find in Mexico or Puerto Escondido was excellent Japanese food. But Kitsune is serving up sushi that rivals the finest spots in Melbourne’s CBD. The fish is fresh, the flavours are inventive and the margaritas are ice-cold. My pick for sushi is ‘the crunchy roll’ – tempura prawn with kewpie mayo, pickled vegetables wrapped in fried panko crumbs. 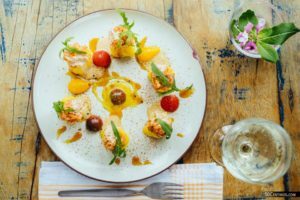 This is one of the more expensive options, but it’s definitely one of the best restaurants in Puerto Escondido and totally worth it if you feel like spoiling yourself. 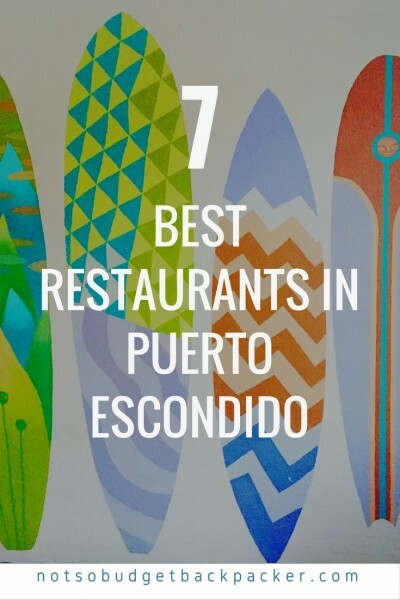 Loved The Best Restaurants In Puerto Escondido? check out more foodie adventures!